Since 2015 users of SurgicalPerformance can now be even more confident that sensitive information about their patients’ health outcomes is safely stored. The Commonwealth granted Qualified Privilege to SurgicalPerformance.com under the Commonwealth Qualified Privilege Scheme under Part VC of the Health Insurance Act 1973. In brief, courts can no longer subpoena information stored in SurgicalPerformance databases. This is an important step to attract surgeons to clinical audit. Reflecting upon surgical outcomes is critical to guarantee that high standards are maintained. 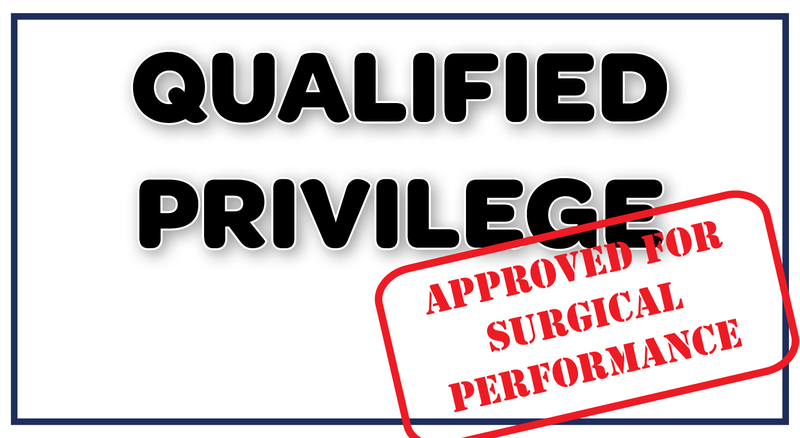 Qualified Privilege for SurgicalPerformance users means that you don’t need to worry – whether you want to know if your surgical outcomes (good or bad) are within the expected range. Most of us would agree that information on unwanted clinical outcomes is sensitive. The majority of colleagues find open disclosure of unwanted clinical outcomes embarrassing and threatening because this information can potentially be used against us. Our technical capabilities together with Commonwealth Qualified Privilege will guarantee that no one else other than you will have access to the highly sensitive information that is stored in SurgicalPerformance’s secure servers. As surgeons we are very interested in this data for our own personal learning and development. The government recognizes that open disclosure does not necessarily mean disclosing information to others. Open disclosure can also mean disclosing information to you. By granting Qualified Privilege to SurgicalPerformance the Commonwealth does not wish to learn about your outcomes. The government simply encourages you to reflect and review on the outcomes of your patients in a systematic and confidential way. Qualified Privilege is designed to remove fears that your data can be abused. It is meant to encourage you and your colleagues to participate in quality assurance activities. From now onwards lawyers cannot request your SurgicalPerformance data, even if they know you use SurgicalPerformance. Courts cannot subpoena information that is recorded in the SurgicalPerformance databases. No legal avenues will be able to release this sensitive information. As a user of SurgicalPerformance your data that are stored with us are protected.